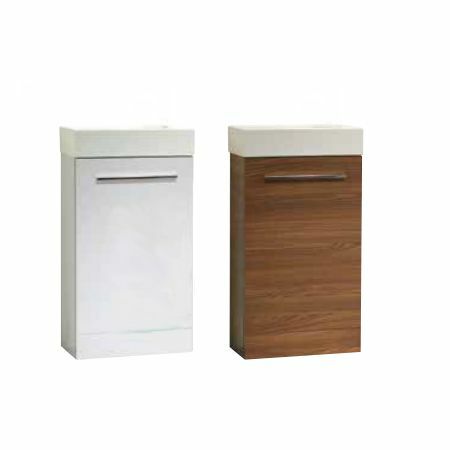 Kobe base units are available in four different styles - a 450mm wall mounted option and a choice of a 450mm, 560mm or 700mm floor standing options. With space at a premium in many bathrooms, the Kobe units are very versatile and work well in smaller bathrooms or en-suites. The back to wall unit is supplied complete with gloss white painted worktop. Kobe doors are fitted with soft close dampers built into the hinges to give controlled and quiet closure.